Early one morning we sat down with Shawn and Chris for our caffeine kick and to hear funny stories about how Companion Coffee came to life. Shawn: While looking around for good tea we were after a product based on transparency. We wanted our tea to satisfy the same criteria as our coffee. Through transparency comes quality as well as ethics. Unlike commodity coffee producers, a farm that values quality and asks for a premium price considers their staff important and spends time to properly train them. There are places producing great tea that aren’t necessarily being transparent about it. That doesn’t mean they are not being ethical, but it begs the question “why are people not being transparent?” We had a really tough time finding someone who would supply us with something we felt good about. Actually, it ended up with Chris saying he loved this black tea he’d worked with at a previous job. We spent a long time trying to get a contact in India for it and got in touch to ask if we could get tea directly from them. That was where it started. That’s so German! Adding “or” at the end. How’s your German by the way? And would you say Berlin is now your home? 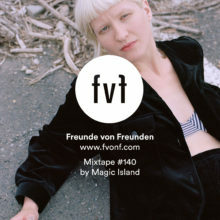 Companion and Freunde Von Freunden have a long history together. Companion Coffee‘s website was designed by MoreSleep, FvF’s mother agency. And Chris even runs regular coffee training sessions at the the office for all our aspiring in-house “baristas.” If you want to find out more about the Voo Store, check out our portrait of Voo’s founder Herbert Hofmann.